So here I am sitting cross-legged on my red carpet, all excited to blog about my random weekend rendezvous at the Le Royal Meridien 🙂 Not to be mistaken as the other SPG resort with a similar name on the same stretch about 5 minutes drive away. 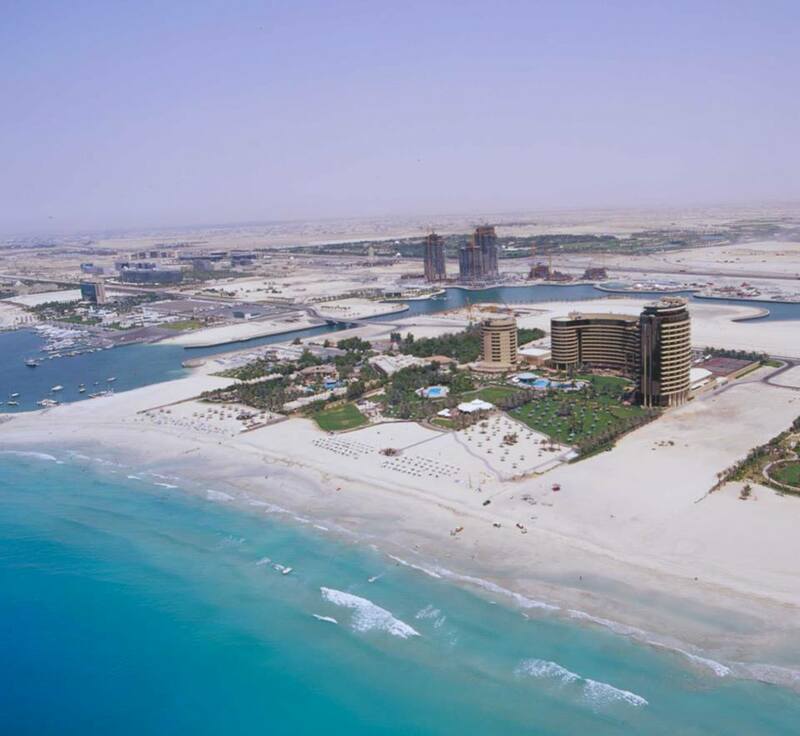 I’ve always wondered why the other one (where Barasti is) has such a long name – Le Meridien Mina Seyahi Beach Resort & Marina. And today whilst I was waiting for K to join me for breakfast at Brasserie (which is fab, by the way) – and we were both on the phone doing the “Yes I’m here at the lobby” and “Yes I’m here at the lobby too where are you” – did I finally geddit. Ha ha. Dubai and its many hotels! 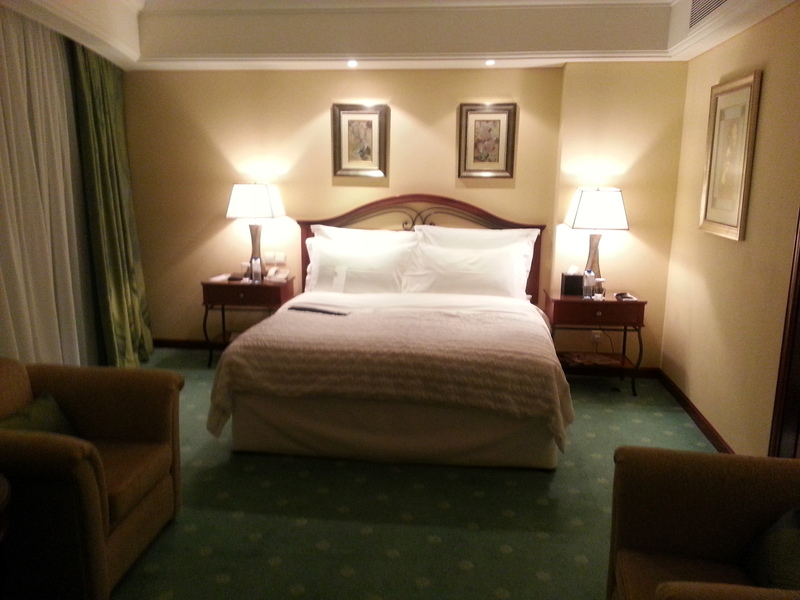 So I rushed home late on Thursday and made my way to Le Royal Meridien. Okay honestly – prior to this, we’ve driven and cycled past the resort many, many, many times now and we always thought that it didn’t look all that interesting. No one we know has ever talked about it. The only thing that our friends have mentioned is Maya – and that is of course because they have Ladies Nights 🙂 Sadly I’ve never been arsed to get off the couch after the first day back from work. It’s awesome to get the chance to venture beyond the front gates, because – holy moly – is this place amazing, or what? I felt like I had just walked into a little wonderland, sorta like when we randomly stumbled into One and Only, when these are just literally a 5 minutes drive from our place. So – you go in and through to the pools, and its backyard is massive. There are 3 pools, nice walk from each other. Beautiful big lawns for your kids to run around in. There’s space for football, ping pong (extra bonus points from me), tennis, you name it – they got it. And if you’re really lazy to walk, there’s buggies that will take you from A to B to C! Keep walking and there’s a playground areas with slides, swings, mini “rock climbing”, mini golf, then you’re at the beach. 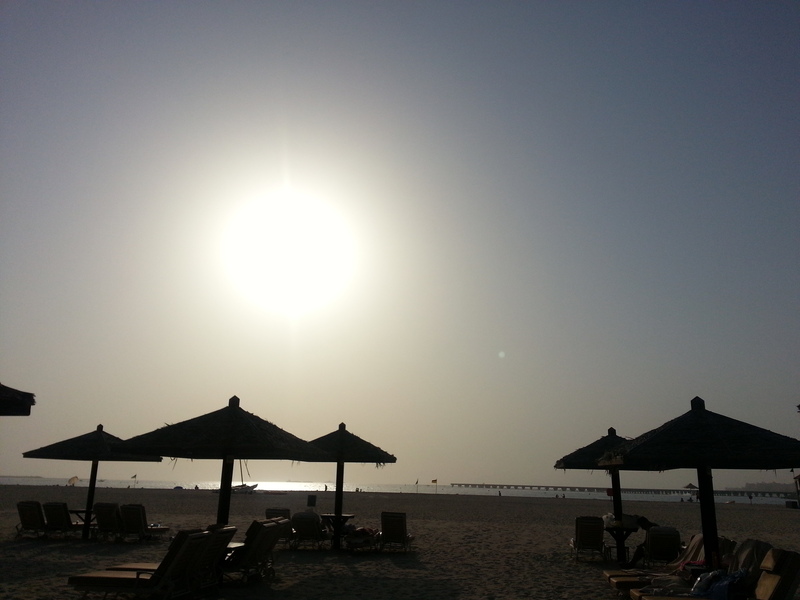 There’s water sports with really really reasonable prices i.e Banana Boat for 7 people, for 20 mins for only 300 AED. Bloody hell that’s like 15NZD or 7 pounds per person. You can even take a cruise to the Palm from there if you want to. What else is there? Unfortunately for me I didn’t bring my sunnies (dumb, I know) – so I couldn’t hang around much too longer and had to head home. Thanks to the towel boys who did offer to borrow me their sunnies – haha. How sweet. Wait, I haven’t even touched on the rooms yet have I. Reservations? Mmm. 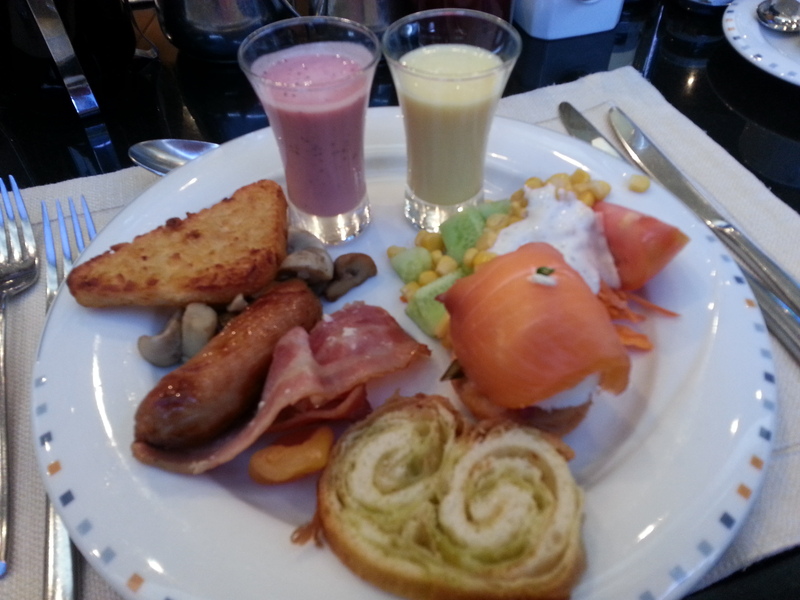 Minor one during Friday’s breakfast where the staff told me it was only breakfast for one when it was for two. This is one big thing I believe hotels need to get sorted because it really puts spoils the mood, especially when it’s first thing in the morning. And especially you had invited a friend to join you because you know that it’s definitely breakfast for two. Same thing happened in JW Marriot Marquis when we were there last. It’s just one of those “It’s breakfast for two, can you please check?” Staff comes back and says no it’s for one. And you need to emphasize for them to check, check, check again. And they finally come back and say Oh I’m sorry the system hadn’t updated etc etc etc. But hey, that’s about it, really. what you definitely call a proper “resort”. Bring your 1, 2, 3, or 4 kids and you won’t have to worry that they’ll be bored because there’s just so much to do. If you’re 18-35 and travelling with your mates, want someone cool where you can meet other people and party, I’ll recommend it as well. 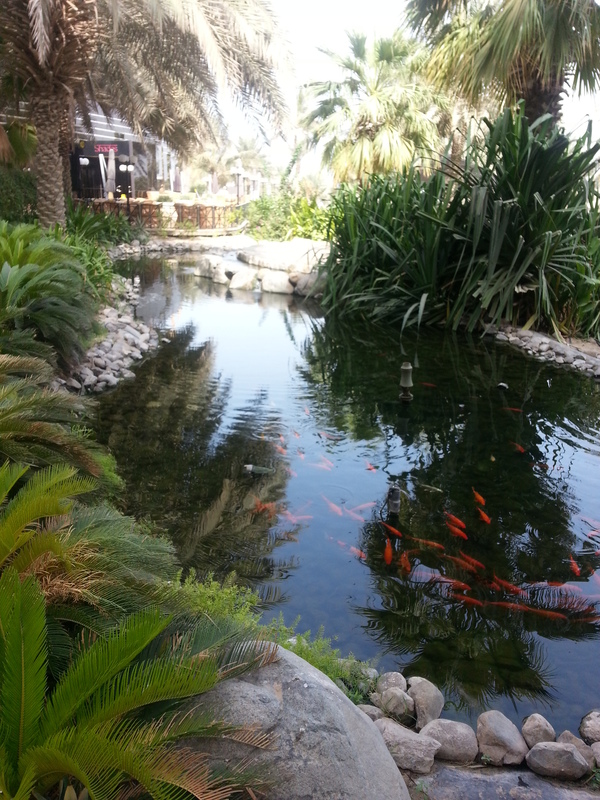 It’s smack bang in the marina and an easy 10 AED taxi away from other bars. We went to Embassy on Friday for their special Rewind nights i.e 80s, 90s, 00s music. Just think Backstreet Boys + Madonna + Macarena 🙂 And! 2 free drinks for the fairer gender. Don’t we have it best in Dubai. Suitable for couples as well. Ah, it’s just great. Dammit. Really sad that G didn’t get to experience the luxury with me this time around as he was away. Hope that we’ll get the chance to do it all over again – I wanna play ping pong ! And swim in that other pool! Banana Boat! Endless list. For my reviews on other hotels, click here. I was looking for blog review of this hotel as we are staying at the Grosvenor for a month with our two children and get access to the Le Meridien as well. (Hubby flies to Dubai monthly from Aus) Whilst the hotel seems lovely enough and there is not a thing out of place the kids club is TERRIBLE! We spend a lot of time in hotels and this one is bad! I understanding they are currently renovating but the thing that made this kids club so terrible for us is the staff! Not once did any of the 5 / 6 staff do or say a single thing to my 3 and 5 year old. The 2 Indian guys watched the cricket on the computer the 3 times we were there and the girls played on their phones or talked amongst themselves. Their behaviour was truely appalling. Last year we stayed at the Ritz Carlton next door and whilst the setting was small the two ladies who worked in there felt like family when we left. So sad for Le Meridian as the hotel seems very nice. I would never recommend this hotel to families if they are planning any time in the kids club which at the moment is in the old night club and feels like a dungeon! O dear that is not good. The resort definitely needs to work on the service at the kids club. Have you made a complaint directly to the hotel so they are aware of it ? I would highly suggest you contact them directly as well so they can take action, as management might not be aware of what’s happening in the kids club. We’ve never been to the kids club ourselves so can’t comment. Stayed for a night in LRM two months ago with our daughter and service elsewhere was good, might have changed our minds had we stopped by the kids club ! 😊 Keep me posted should you contact them !